It’s time to stop and smell the Rosés! 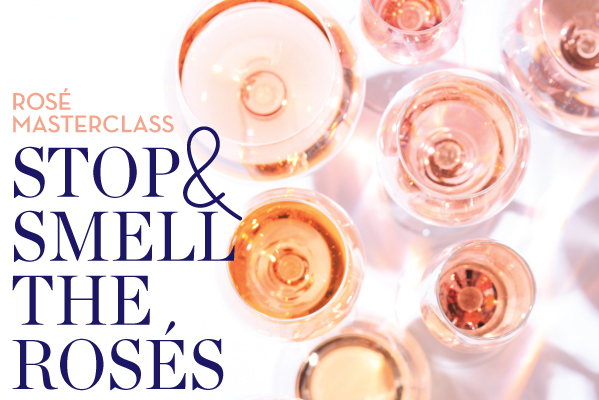 Join us on the trail of Rosé, for a light hearted educational evening! Enjoy 5 Rosés along the way, each served with a canapé matched by our chefs. It’s time to organise a well overdue catch up with friends. This is an event not to be missed. Josef Chromy ‘Pepik’ Sparkling Rosé NV, Relbia TAS. Ara Single Estate Rose 2017, Marlborough NZ. Mirabeau ‘La Comtesse’ Rose AOC, Cote de Provence FRANCE. Spots are limited & bookings are essential. Additional wine can be purchased on the night.